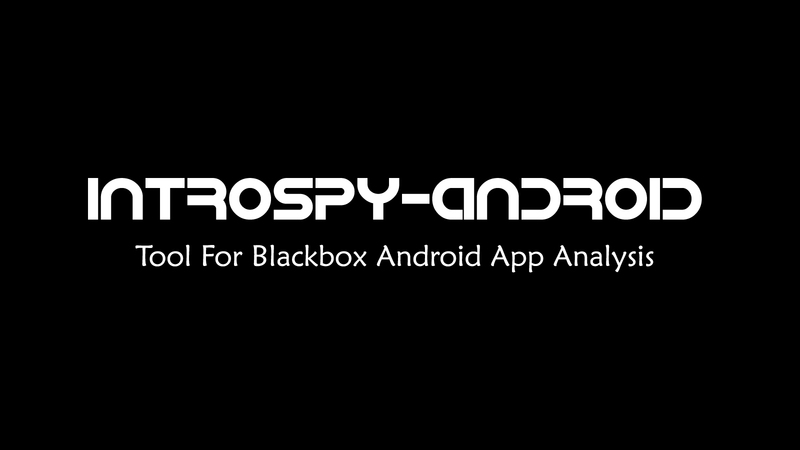 Introspy-Android is a Blackbox tool designed to help penetration testers understand what an application does at runtime and to assist in the identification of potential security issues. The tool comprises two separate components: a GUI interface to configure hooks, filters and options and a Cydia Substrate extension containing the core of the tool functionalities, including hooks and analysis of potential issues. It can be installed on a rooted device and dynamically configured to hook security-sensitive Android APIs at run-time. The tool records all the relevant API calls made by an application, including function calls, arguments, and return values. It then performs tests for security issues in real time and persists the results in a database and in the Android logging system. The Introspy analyzer can then be used to analyze a database generated by the tracer, and generate HTML reports containing the list of logged function calls as well as a list of potential vulnerabilities affecting the application. Once installed, the tool will store in an SQLite database (and in the system logs) calls made by Android applications to security-sensitive APIs as well as potential issues. 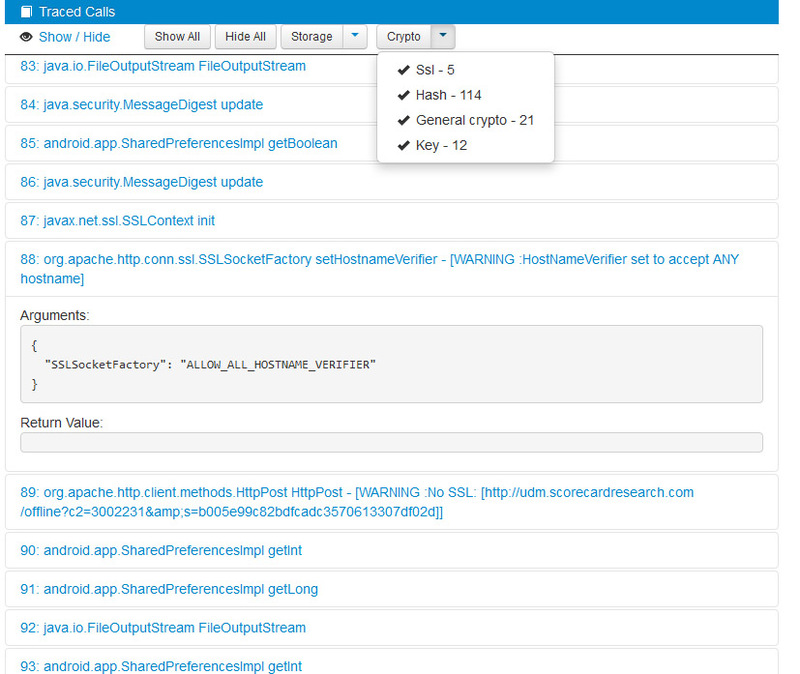 The GUI lets the user choose which Android App should be monitored and which APIs to monitor. The "NO DB" option disables logging into a database (which makes the apps faster) and the "STACK TRACE" option will save and log a minimal call stack for the selected filters. 2. Download the pre-compiled APKs (download links are at the end of this article). The Instrospy-Android Config application displays apps the Core application will hook and the various filters and options applied to them. This application needs root access (you can use superSU to give temporary root access to the application). The changes are dynamic and you do not need to restart the applications for them to be effective. Once configured with the Config application, logs are dumped in the system logs and in a database in the directory of the application hooked (in databases/introspy.db). To generate an HTML report using the generated database, you can use the Introspy-Analyzer. It should be noted that the Core application can work on a device running Android 2.3 and above whereas the Config application can only run on Android 3.0 due to the use of specific APIs. In order to test applications on older SDKs without the GUI by only using the Core application, you can simply create a file named "introspy.config" containing filters you want to hook in the directory of the applications you want to test.